An open viewing of apartment No 6 in the ever-popular Bridgewater Court development will take place this Saturday October 13, from 12 noon to 1pm, through the selling agents DNG Maxwell Heaslip & Leonard. This wonderful two bedroom apartment is located just off Dominick Street in one of Galway city’s most popular neighbourhoods known locally as “The West”. 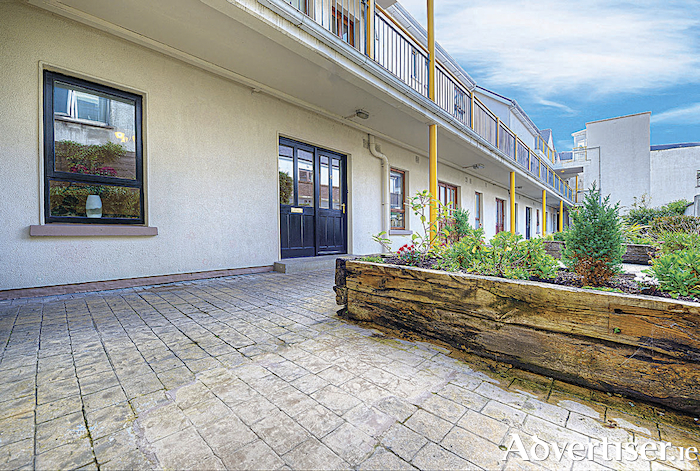 Part of a purpose-built secure development, this first-floor unit comprises c600sq ft of living space and is in walk-in condition. Being offered to the market with its own door entrance from a courtyard area, it boasts two double bedrooms with built-in mirrored wardrobes and a newly refurbished bathroom.